Irish-based pilots at airline giant Ryanair have voted unanimously to accept an agreement on improved working conditions after a series of strikes over the summer, their trade union said Wednesday. Pilots who are members of the Irish Air Line Pilots' Association have backed a "tentative" deal which covers base transfers, command upgrades and related seniority principles, IALPA said in a statement. The development follows talks between pilots' representatives and company management. "Today's results show that 100 percent of pilots believe this proposal to be the first step towards providing transparency and fairness for Ryanair pilots while also assisting Ryanair in recruiting and retaining pilots in the future," the union said. Ryanair welcomed the news, adding it would now reconsider plans -- announced in July -- to slash its Dublin fleet from 30 to 24 aircraft. "We will now bring this agreement to our board and will ask them to reconsider their decision to rebase six aircraft away from Dublin this winter," it said in a statement. Wednesday's deal comes after Italian pilots last week approved an agreement on improved working conditions with the strike-hit Irish no-frills airline. 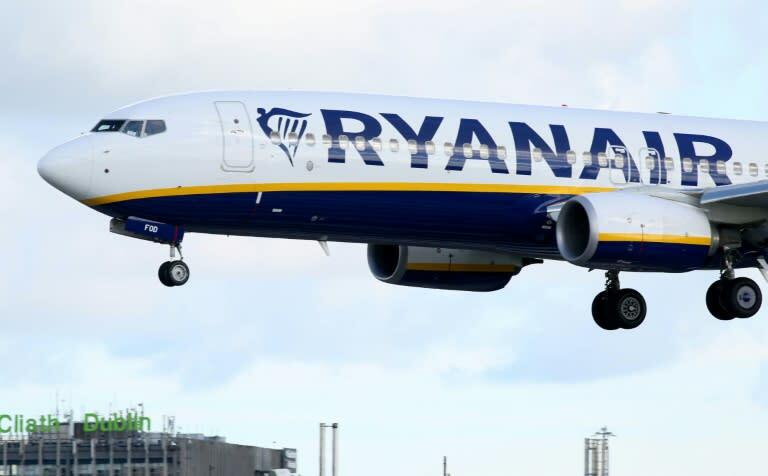 The news followed a coordinated 24-hour strike by Ryanair pilots last month that caused the cancellation of hundreds of flights, affecting thousands of passengers. Analysts gave Wednesday's announcement a cautious thumbs-up after recent turmoil at the group, which is meanwhile due to start charging passengers for cabin bags that do not fit under seats from November 1. "I think it marks the end of the summer of discontent and the 100-percent vote from the pilots union is a major boost to market confidence," CMC Markets analyst David Madden told AFP. "Investors can be happy that the Ireland-based pilots issue has been put to bed. The Ryanair news came a day after Dutch national carrier KLM said it had reached an accord with its pilots for a new wage deal to avert a strike. Ryanair agreed last week to recognise Ireland-based cabin crew who have union membership, stepping up a drawn-out process to improve workers' conditions and avert fresh strikes. That followed similar agreements with cabin crew unions in Italy, Germany and the UK. IG analyst Chris Beauchamp also said it was "good news" for investors. "It removes one cause of worry, and provides a useful basis for further negotiations -- but the key will be whether it can be broadened out to other nations. "I would not rush to count chickens until they are hatched." Accendo Markets analyst Mike van Dulken said the latest development lowered the risk of more costly staff walkouts. "After the earlier Italian agreement, it’s another step in the right direction, with potential for other national pilots associations to follow, steadily reducing the risk of more disruptive strikes," he told AFP.